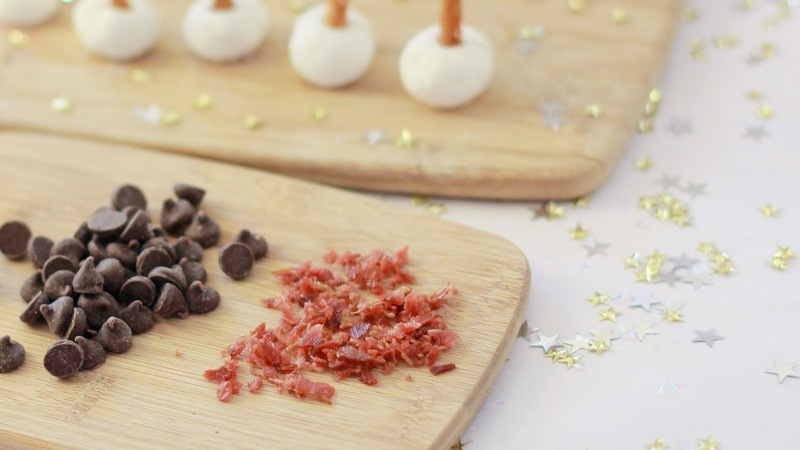 I just don't think you can go wrong when it comes to combining bacon and chocolate in a holiday dish. It has a little bit of sweet, little bit of salty and some tang to it with the addition of delicious goat cheese. Joan of Arc was a new brand to me but it quickly moved to the "delicious favorites" list. It is the perfect fresh addition to your holiday appetizer menu. I love creating bite-sized recipes because it's just the right size for our kids or for those who are wanting to lightly indulge on treats during the holidays. 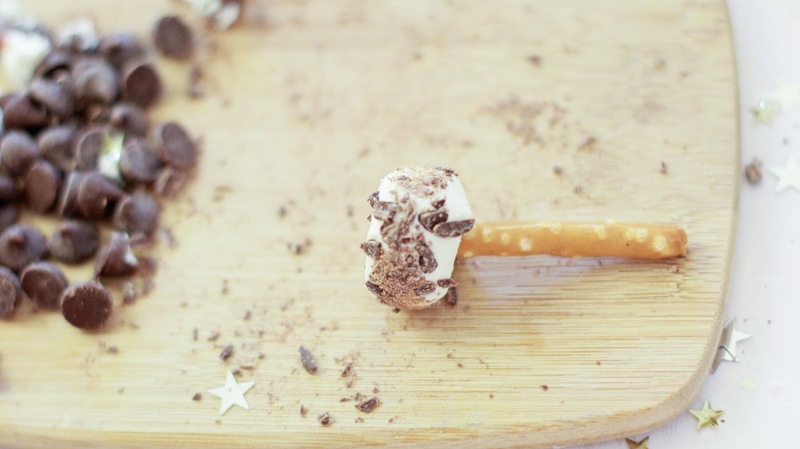 Crushed semisweet chocolate chips, crumbled bacon, pretzel rods, and Joan of Arc goat cheese. Sweet and simple but exceptionally tasty! 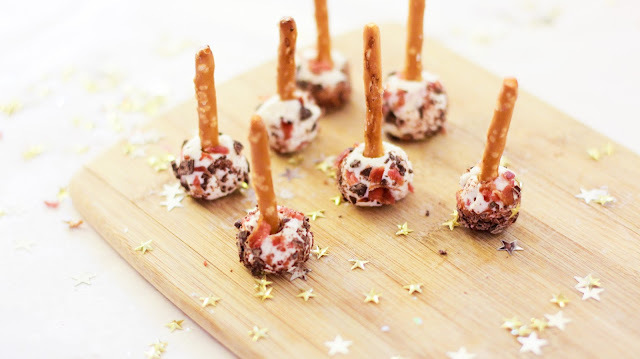 Roll inch-sized balls of goat cheese, add 1 pretzel into the top of each and freeze for fifteen minutes. Bake 4 pieces of bacon until crispy. Crumble into small pieces. Finely chop 1/2 c. chocolate chips. Pull goat cheese balls from the freezer and roll in crushed chocolate. Add bacon. Chill in fridge until ready to serve. Yum and yum! What are your favorite holiday recipes? What do you love goat cheese with? 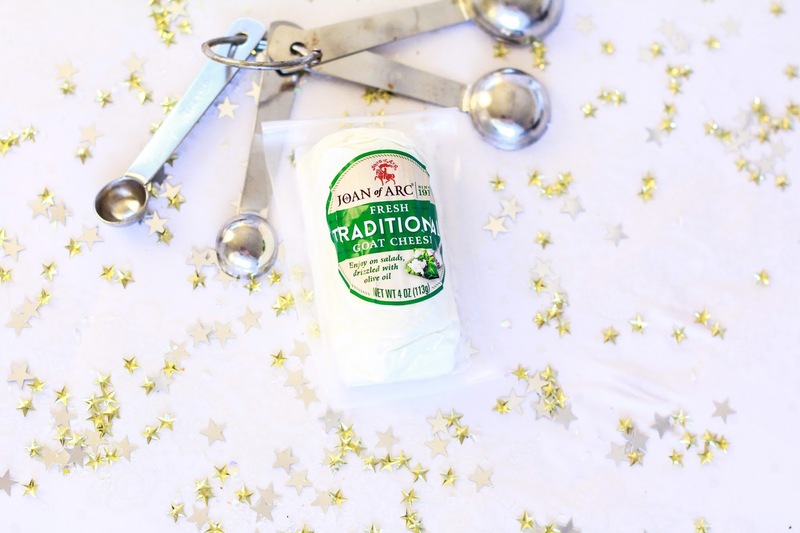 Consider adding Joan of Arc Goat Cheese to your holiday shopping list for a delicious twist on favorites! !